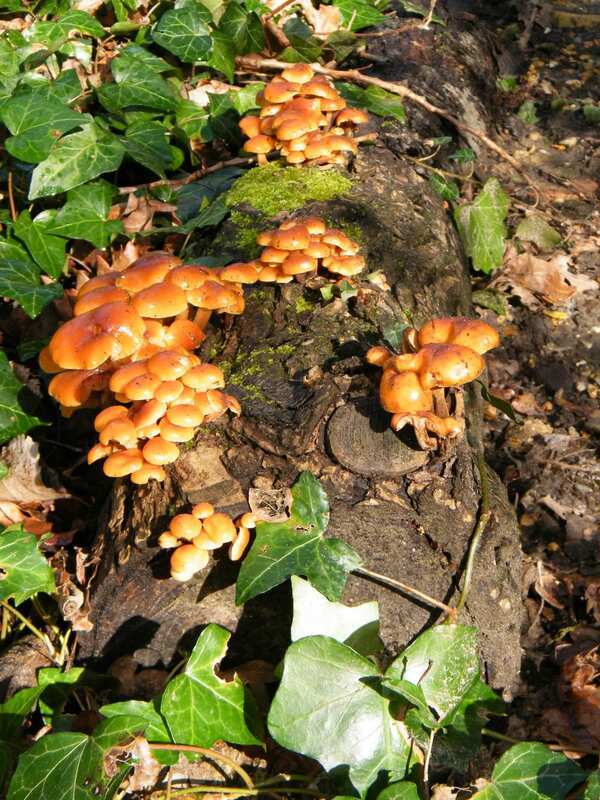 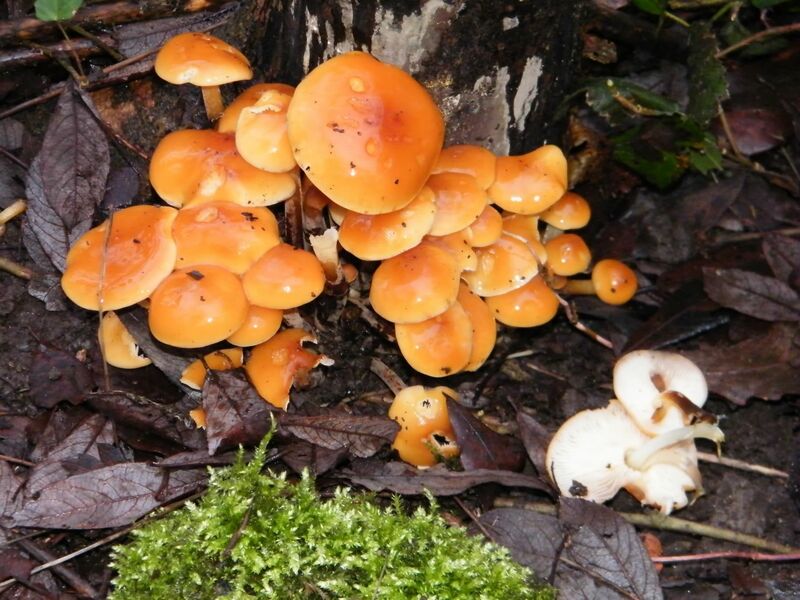 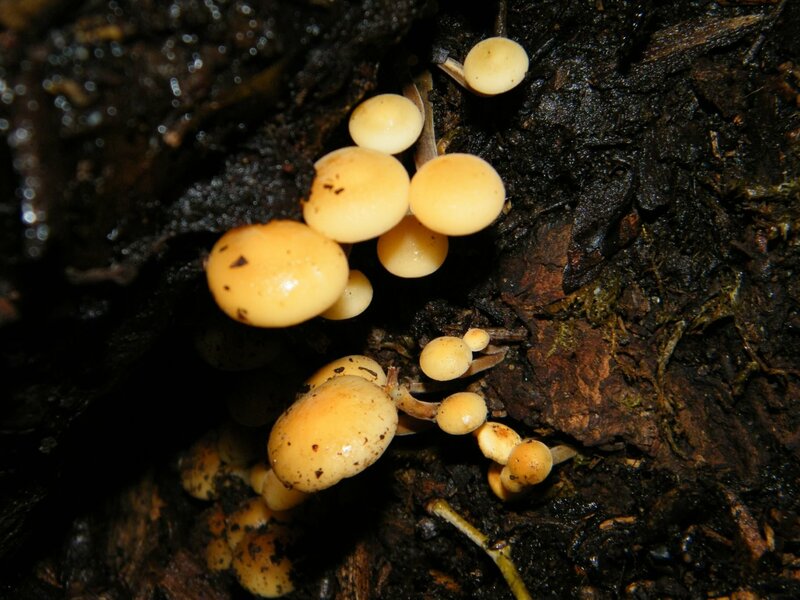 Another common saprobic fungus growing mainly through the winter but generally during December to February in Britain, Ireland, Europe, North America and Asia on stumps and trunks of dead hardwood trees, especially Ash, Beech Elm and Oaks, and occasionally on other diseased living trees. Growing to around 2-10cm (0.8-4.0in) across on stems 3-11cm (1.2-4.3in) high, cap with bright orange centres fading towards the edge on paler stems. Those growing on tree stumps are generally tiered; those on fallen wood can be so closely packed as to become distorted in shape. 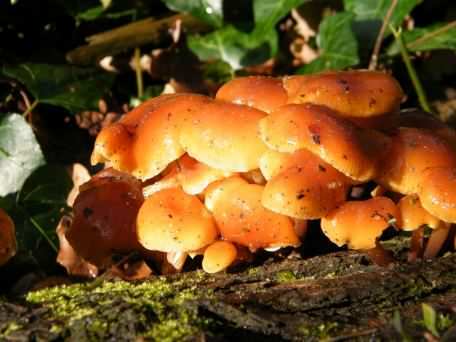 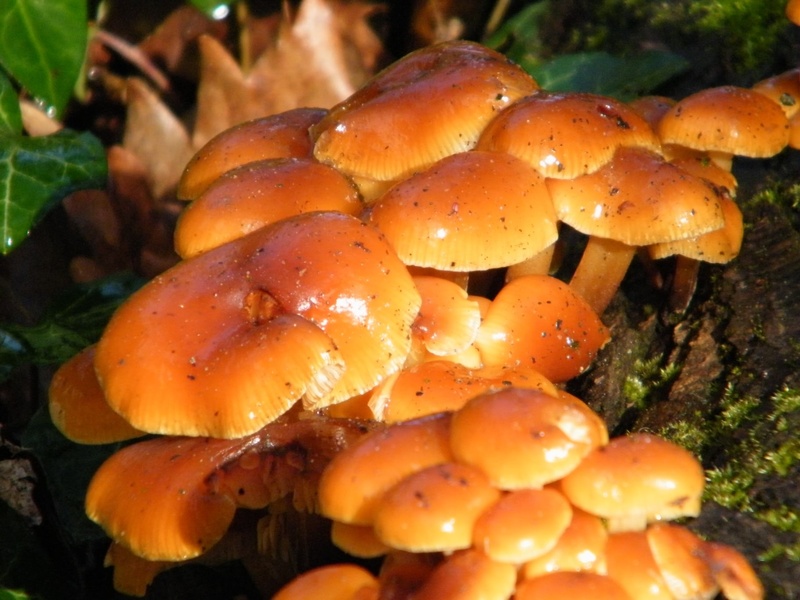 FBCP do not advise or recommend that Velvet shank - Flammulina velutipes is eaten or used as a herbal remedy. 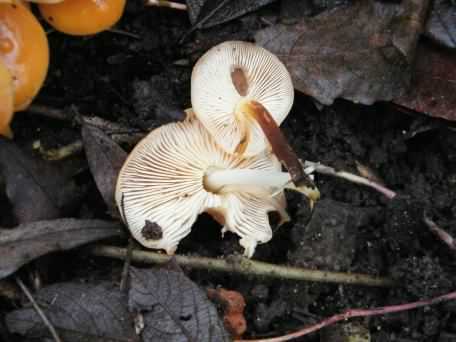 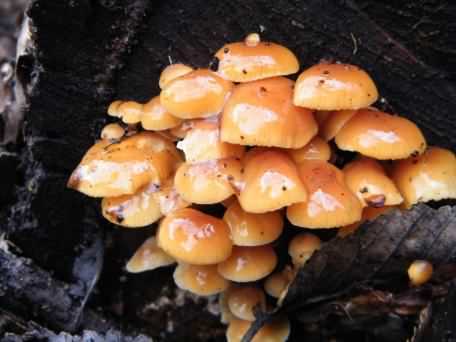 Apparently the caps from Flammulina velutipes are edible, being grown in commercial quantities in Japan, where they are variously known as Enoki, Enokitake or Enoko-takem however they are usually smaller than wild grown Velvet Shank and being grown in the dark they are very pale almost white. Described by Moses Curtis, the Velvet shank was named Agaricus velutipes, reclassified in the 1940's by the German mycologist Rolf Singer to its current Flammulina velutipes.